Opioid use disorder is one of the most challenging forms of addiction facing the Canadian health care system, and a major contributor to the marked rises in opioid-related morbidity and death that Canada has been seeing in recent years. The Canadian Research Initiative in Substance Misuse has issued national guidelines on managing opioid use disorders.They have been published in the Canadian Medical Association Journal. 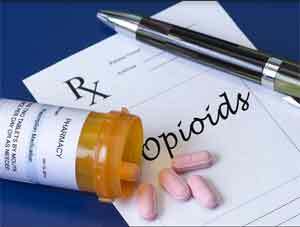 Begin opioid agonist therapy with buprenorphine-naloxone when possible. If patients don’t respond well to buprenorphine-naloxone, consider switching to methadone. When buprenorphine-naloxone is not the preferred treatment, use methadone as initial therapy. When both buprenorphine-naloxone and methadone are contraindicated or not effective, slow-release oral morphine may be considered. Withdrawal management alone — that is, detoxification without transitioning the patient immediately to long-term addiction treatment — should not be used. Psychosocial interventions should be offered routinely but should not be considered mandatory. Separately, in U.S. opioid news, a new Pediatrics study shows that pediatric ICU admissions for opioid-related hospitalization increased significantly from 2004 to 2015, from 25 to 36 per 10,000 PICU admissions.